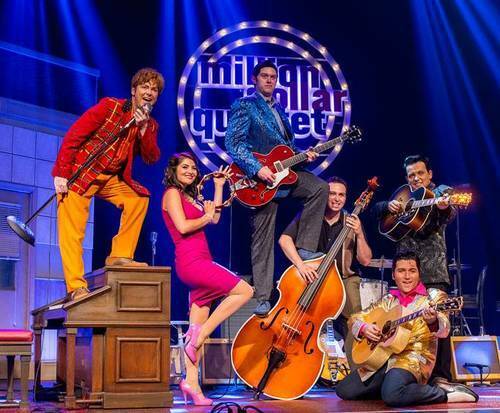 Live in Branson, the Million Dollar Quartet brings together the musical musings of famous icons; remembering an actual historical music moment, this live show will have Branson singing and dancing along with the hits. 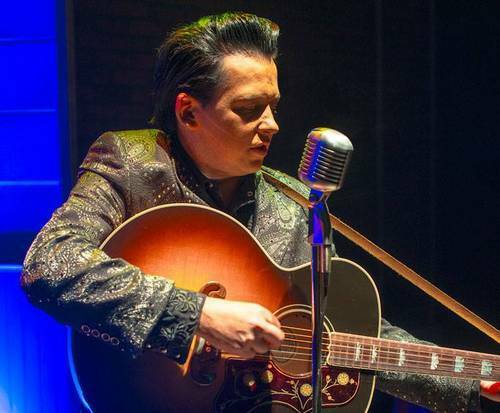 The Million Dollar Quartet showcases songs that were played in the legendary jam session from Elvis, Johnny Cash, Jerry Lee Lewis, and Carl Perkins. This masterful show will bring you back to the legendary day, with hits such as I Walk the Line, The Only Star in My Blue Heaven, and even a rendition of White Christmas. This array of blues and rock 'n roll is sure to delight the entire family. Carl Perkins was booked for a recording session at Sun Studios in Memphis, Tennessee in 1956. Playing with him, his band and legend Jerry Lee Lewis helped him light the studio up. It wasn't until Elvis Presley and Johnny Cash showed up that things got really interesting. This quartet made music history as these icons sang blues and rock 'n roll hits together. Come down to Branson for a night of blues, rock 'n roll, and gospel as you dance the night away with old, legendary favorites. 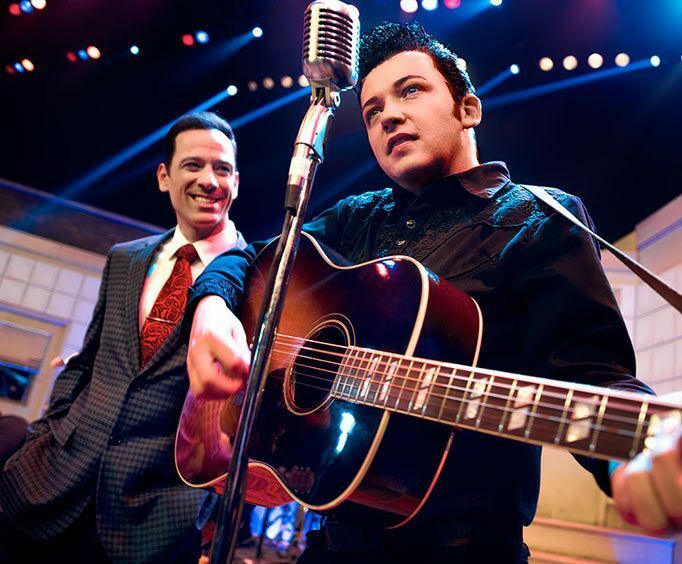 What is included in the admission price for Million Dollar Quartet ? Approximately how long is the Million Dollar Quartet ? The performance was excellent. The musician's songs were better than expected. I particularly enjoyed the elvis and johnny cash performances. This is undoubtedly one of the best shows at branson. Excellent show, i've seen it three times this year and this was my favorite. Very talented group, keeping the energy high and you wanting to get up and dance. Wonderful music. Excellent show fantastic seats. I would recommend this show to family and friends. I will book again with branson shows in the future. I had no problems at all. My family and i had a wonderful time. Thank you. All four sounded like the the original super stars. Great storyline presentation.